The Meade County Commission met in regular session on Wednesday, October 11, 2017. 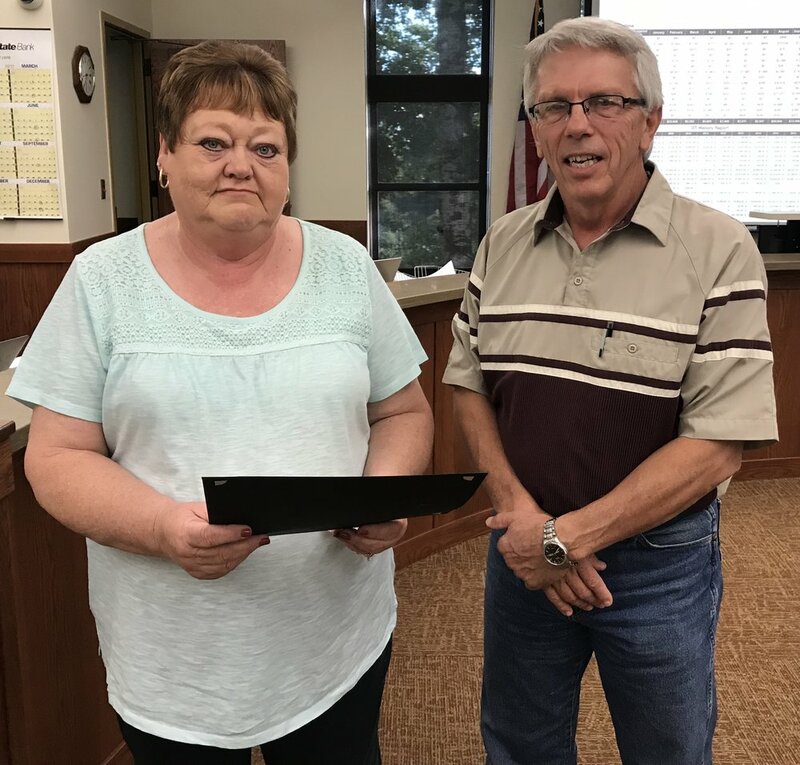 We were honored to open the meeting by recognizing Lori Bratland, Deputy Treasurer and Kirk Chaffee, Director of Equalization and Planning for their respective thirty years (employment) of commitment and service to the citizens of Meade County. Bob Weyrich, SD Department of Agricultural Development presented an overview of agriculture development within the state and the impact in Meade County. In 2016, the number of farms and ranches in SD was at 31,000 - down 300 farms since 2015. He requested the Commission appoint representatives from our county to work with the County Site Analysis Program (CSAP). The CSAP will collect Geographic Information Systems (GIS) data which is used to identify potential sites that could fit various ag related development projects within the county. We selected Pat Kurtenbach, SEDC and Kirk Chaffee as our appointed designees. Members from Bear Butte Valley Water, Inc. were on hand to request an easement for county right-of-way in the Northwest corner of the County. This ROW will allow them to put in more water lines and support more customers; their request was granted. December 13, 2017 at 10:00 am was the date/time set to receive bids for the Elk Vale Road project. The bids will be received at the Erskine Building in the Commissions’ meeting room. The Commission discussed whether a local candidate in Meade County could form their own political action committee (PAC). On the advice of the county auditor, and the SD Secretary of State, it was determined that a candidate cannot be the chairperson or Treasurer for their own PAC. We discussed a policy change on the overtime work-period for Patrol Deputies. That policy was changed from a 28 day work-period to a 14 day work-period for overtime calculations. Finally, each month we are honored to acknowledge a local veteran for their service, commitment and sacrifice to our country. The October veteran of the month is Mr. Howard Mehringer. Mr. Mehringer flew helicopters in Vietnam for one year with the 1st Air Cavalry. Of note, his father flew B-24s, B-17s, and B-29s in WWII. His son was deployed to Afghanistan in 2007 where he passed away. Mr. Mehringer is an active member with the local Shriners. It was nice to have a light agenda after a long meeting two weeks ago when we finalized the 2018 budget.